BBC news report on the UK's longest train that is working to replace track ballast. Very interesting, http://www.bbc.co.uk/news/uk-31010111 - Link to BBC new web page. Why not become a member??? Feeling a bit bored now that all the festivities are over, looking for something to do? 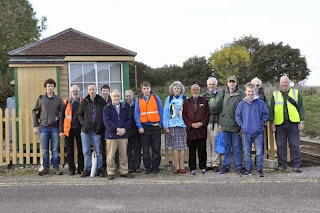 Well why not join up and become a member at the signal box project! Families, enthusiasts and anyone who's not afraid to get their hands dirty, all are welcome on our work days if you sign up as members and are keen to do some work. Go to the join page on our website and complete our membership form. There's a whole verity of jobs such as painting, ground works, supervising younger members, gardening and operating the signal box (once we reopen), but it's not all work, there's normally cake, good company and general railway discussions. 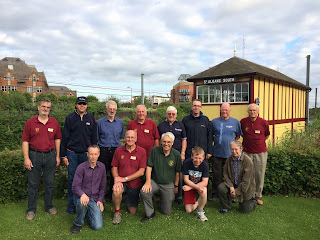 We also run trips to other railway societies at cheaper than general public prices which are only open to members. 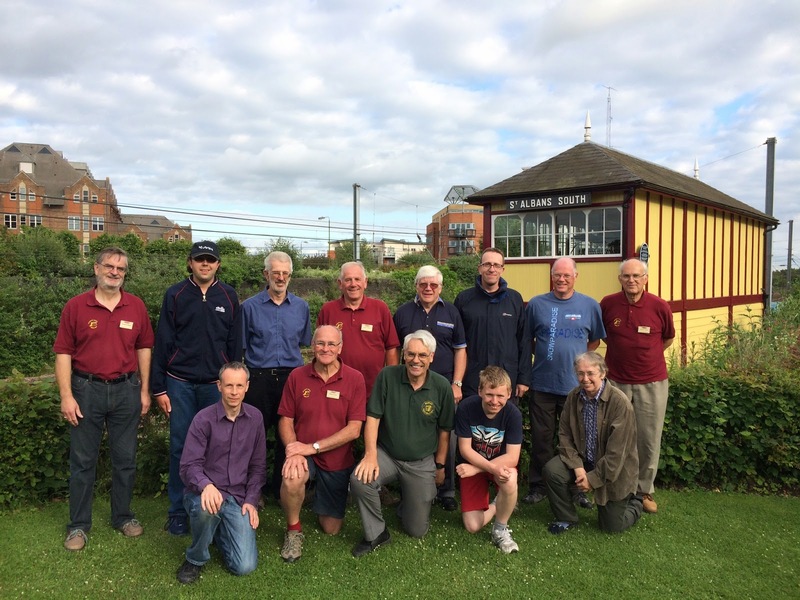 More information can be found around our website or you can email membership@romseysignalbox.org.uk for further details. Our next MEMBERS ONLY work day will be Sunday 1st of February, so get to it, sign up and come along to help!! A last minuet decision to have a workday was actually a very good choice as it was a productive day. We started with Neil and Jamie lifting the slabs around the side of the signal box ready for the digging of a trench to run power to the far side of the site. In the mean time, Dave worked on the painting of the pavilion which is nearing completion, we just need to finish the door frames and shelves. We can then move on to complete the kitchen area which will have a second door added between the kitchen and toilet to allow the hygienic serving of tea, coffee and cake to the public. After lunch, Jamie and Neil worked to remove the ballast from the path of the trench to be and then Neil went on to do some pruning and weeding. Jamie started work on the trench for the power cable and got to the end of the box before stopping for the day. All in all, a successful work day, even though we only got three people turn up (in fairness, it was short notice).